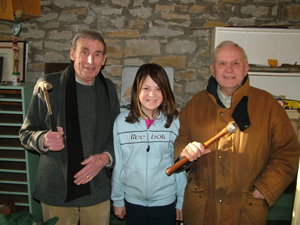 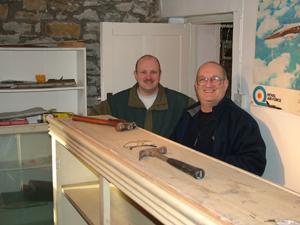 The Haydn Webborn Museum is being transferred to its new home at 215 City of Swansea Squadron, where it will be proudly displayed in Green Flight, with the kind permission of Mrs Taisy Webborn and family. 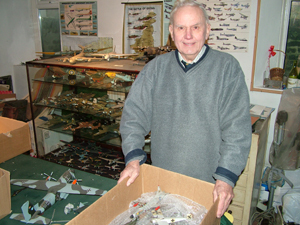 Haydn Webborn was born in the Mumbles area of Swansea in 1927 and served with the Royal Air Force during the second world war in Egypt. 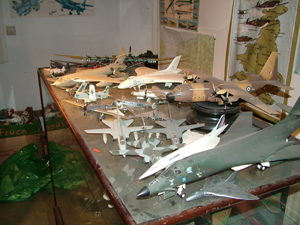 After leaving the Royal Air Force, he married Taisy and then followed a career in X -Ray technology, inspecting metal structures such as aeroplane wings and more complex structures such as nuclear power plants. 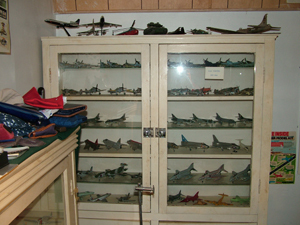 He was also involved in under water testing on metal structures such as Oil Rigs. 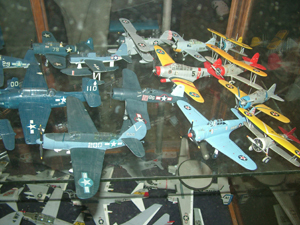 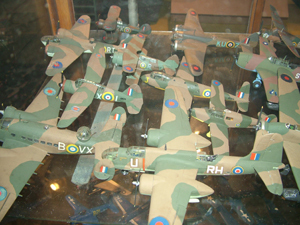 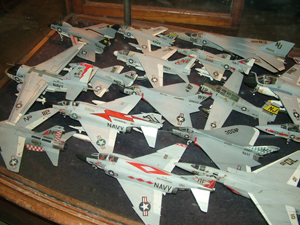 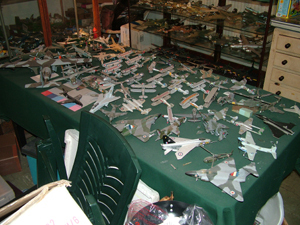 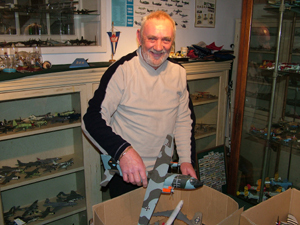 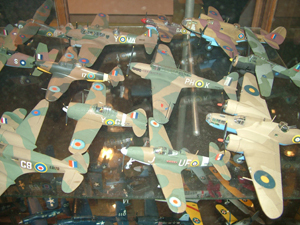 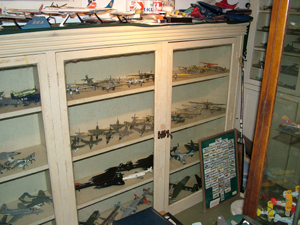 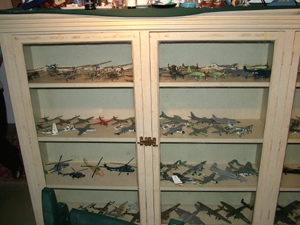 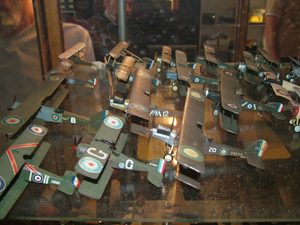 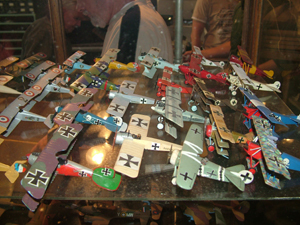 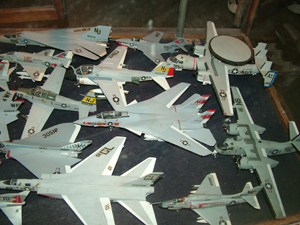 Haydn Webborn was fascinated with aircraft and his life time hobby was to construct aircraft models. 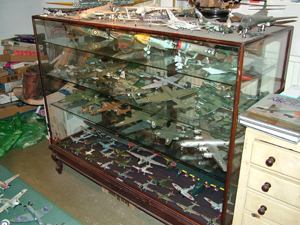 This breathtaking display of over 2000 aircraft is now in the process of being transported to its new home at 215, where it will serve as an outstanding historical record of flight to the Cadets of 215 and No 3 Welsh Wing. 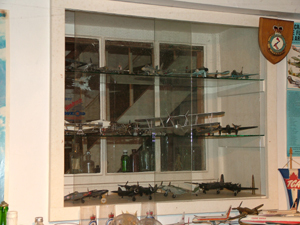 More photographs of the aircraft collection, which will inspire future generations of the Air Training Corps. 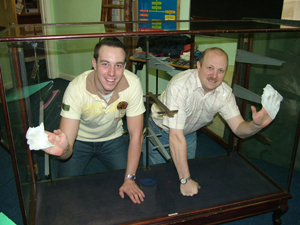 Pictures of the Staff moving the aircraft. 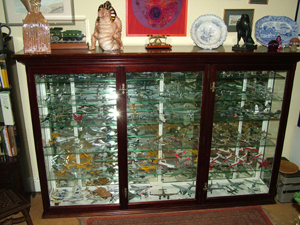 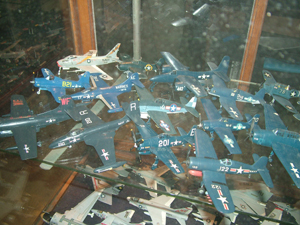 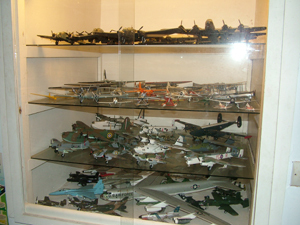 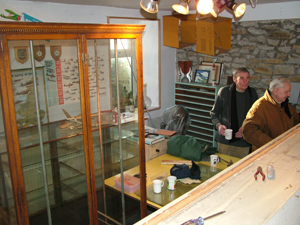 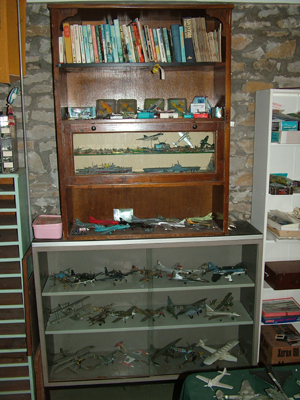 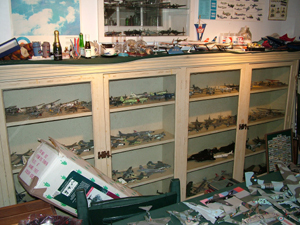 The hardest task was to move the many display cabinets without damaging them. 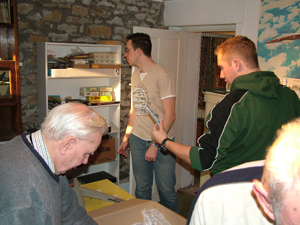 The Staff and Cadets had to be extremely patient and careful throughout the whole process and in the end managed to move every item without incurring any damages.